Last year, I shared this picture on Instagram of these pretty and marshmallows. Ever since, I have been flooded with questions and a request to do a blog post. 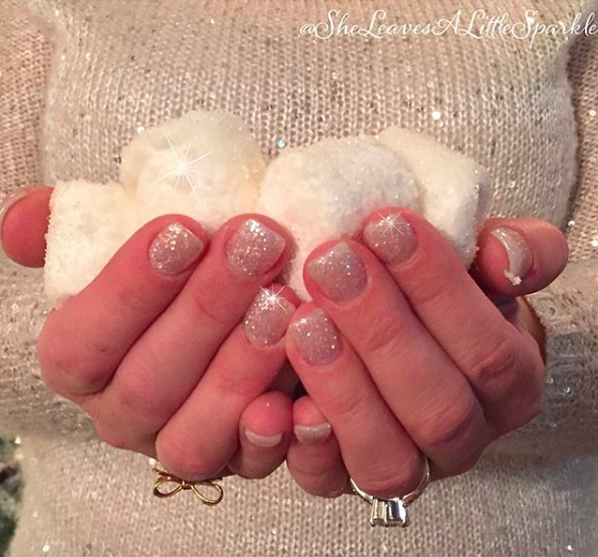 What better time than to do it around the holidays when you’re always adding a little more sparkle to your festivities? 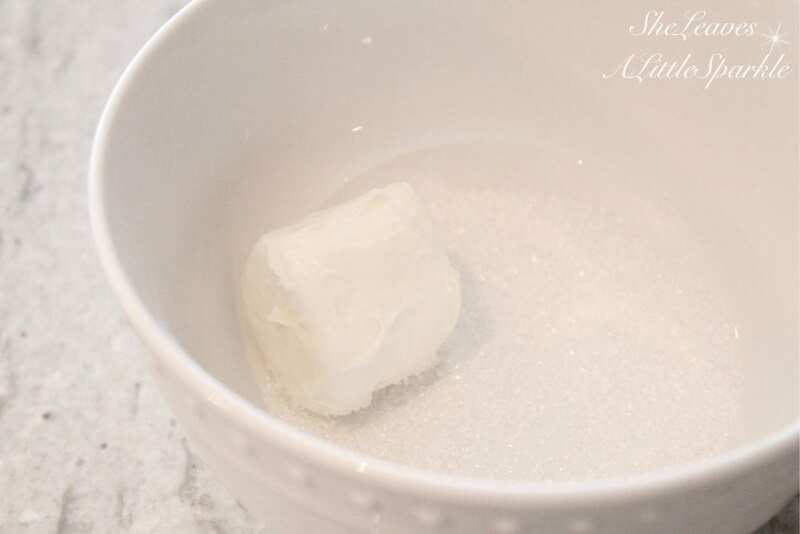 So today I’m finally sharing how to make sparkly marshmallows and add them beautifully to your hot cocoa bar. It is very simple and you just might have everything you need, at this time of year especially, to make these. 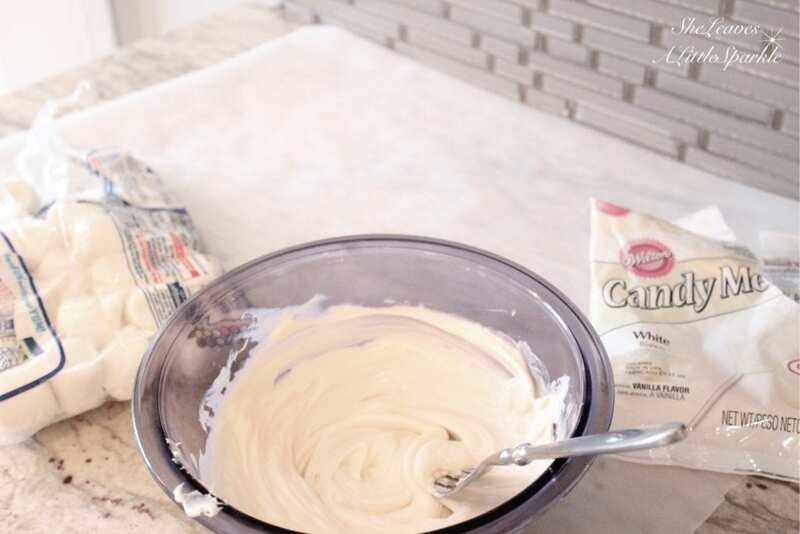 But if not, it does not take much and you only need these simple ingredients. 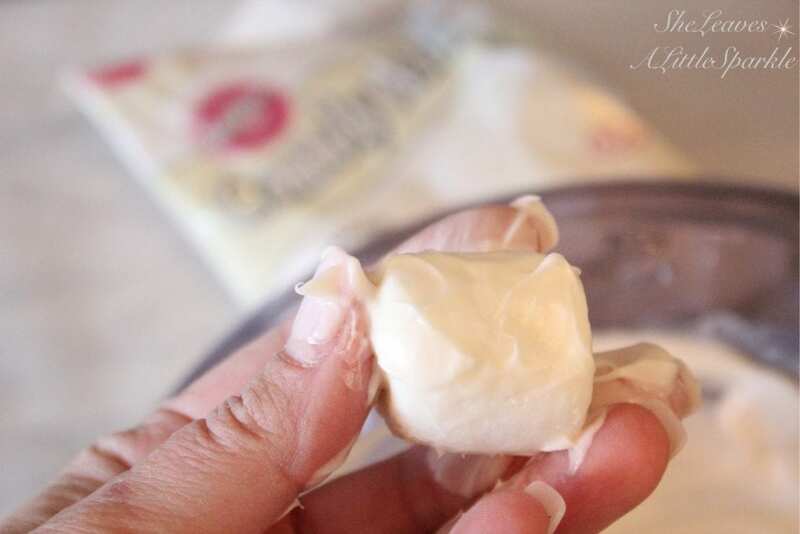 If using candy melts, melt for one minute and microwave and then sister. Return to microwave for additional 30 seconds – 1 minute depending on amount. Stir again. You don’t want the chocolate to be super melted and hot, like liquid. If that hot, it will melt the marshmallows instead of just coat it. 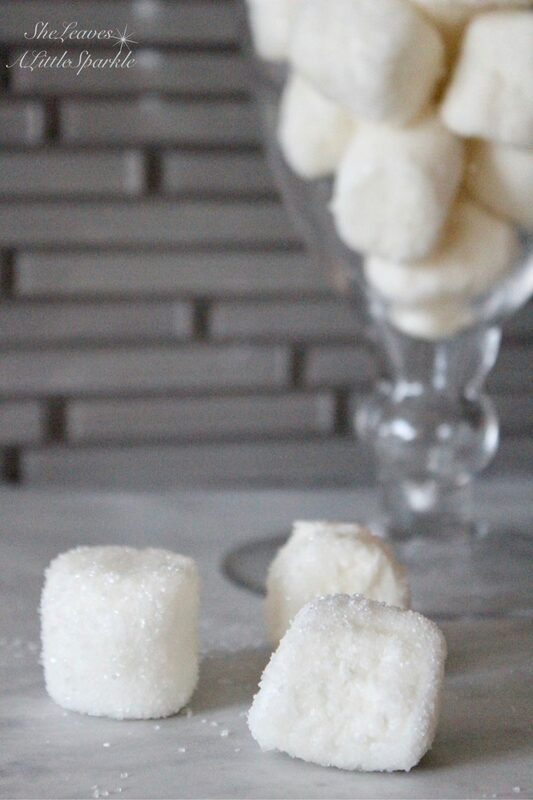 Roll each marshmallow individually and some of the candy amount, or chocolate, and then rollaround and small bowl of chunky sugar crystals. Place on parchment paper or wax sheet to dry. Only takes a few minutes. Aren’t they so pretty and sparkly? The camera does not do it justice but in person, they are really beautiful and look like sparkling snowballs. 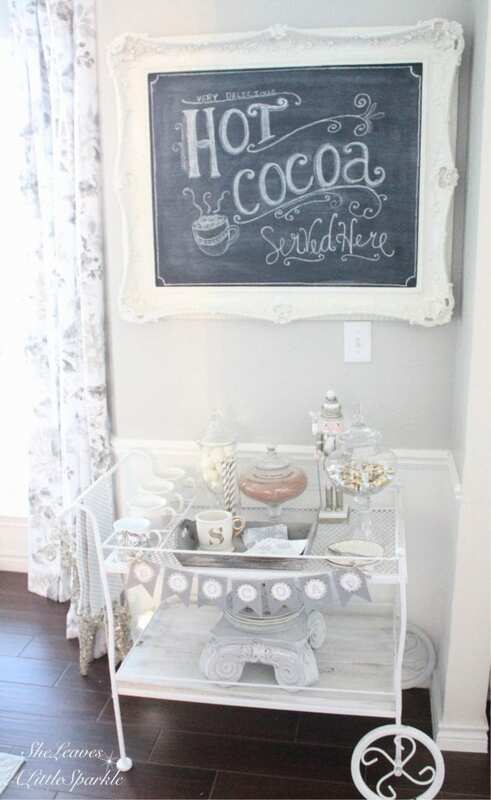 After a few minutes of levitra buy us genuine trying, place and a beautiful apothecary jar and display at your hot cocoa bar. 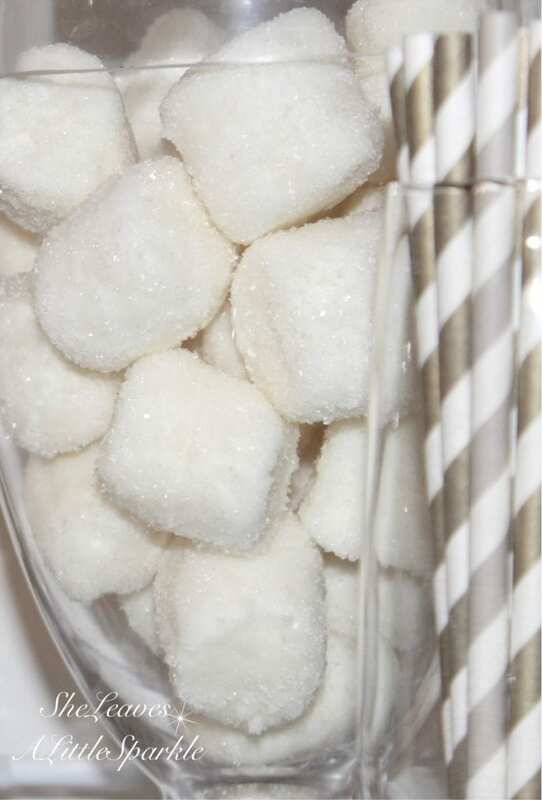 The next step is to place this beautiful jar of sparkly white marshmallows at your Hot Cocoa Bar. That I can’t really help you with….you’re on your own. JUST KIDDING! 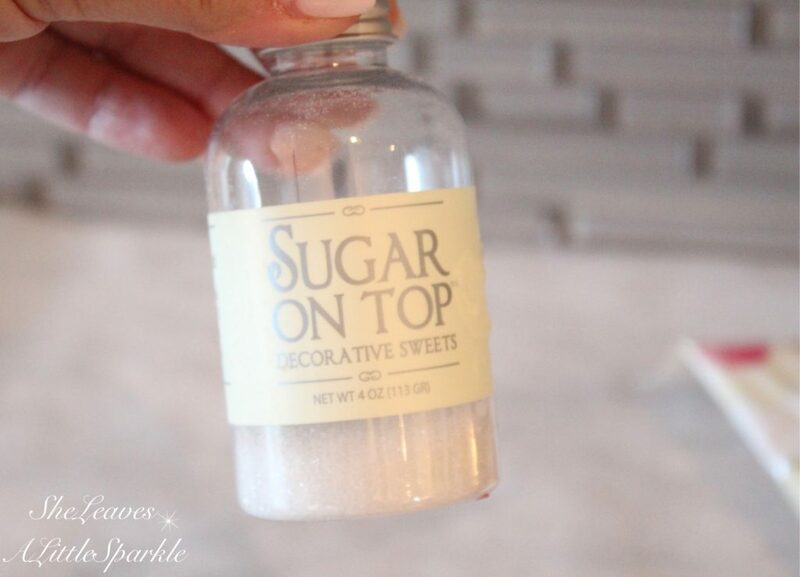 Ok, first… find a small space on your counter or a tea/bar cart to use to serve your family and guests. 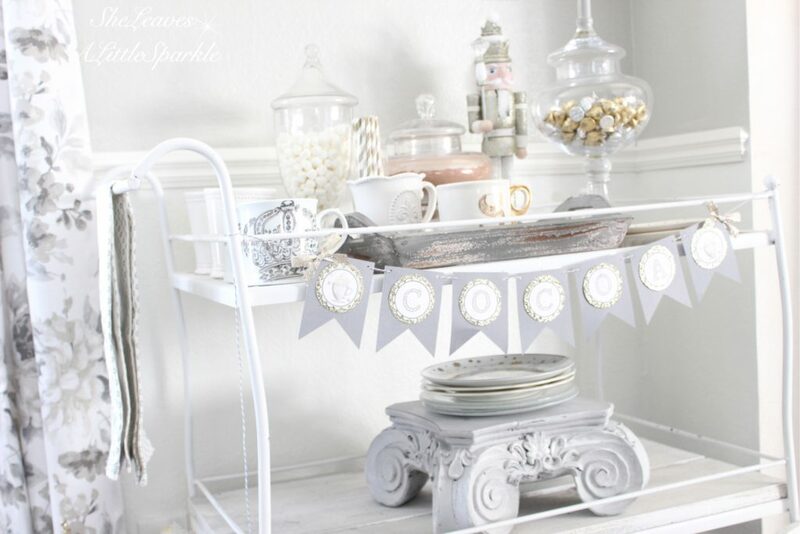 If you search “tea cart” on the search bar here on my blog, you’ll find all the different ways that I use my vintage tea cart. I love this piece! 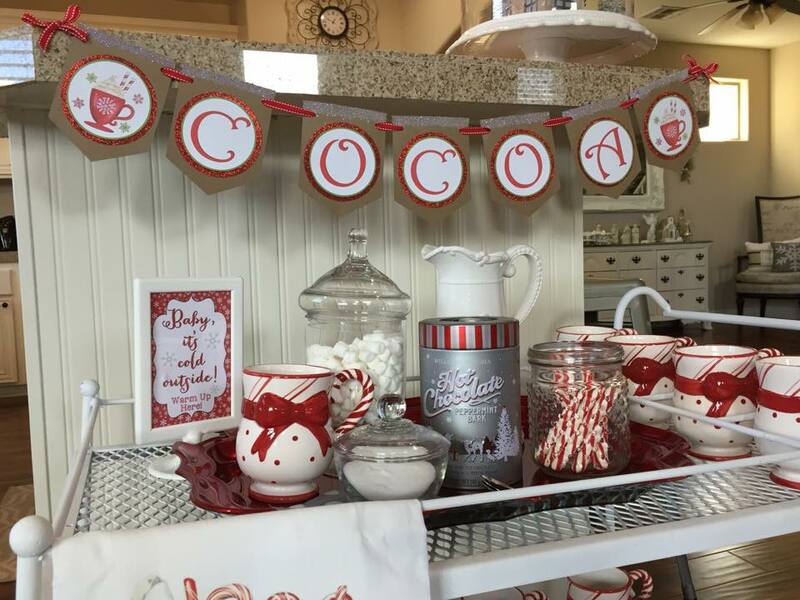 I use this vintage tea cart year round but only keep it set up with a hot cocoa bar during the holidays and cold winter months. I love using pretty napkins and apothecary jars to fill with the ingredients and display them. It’s been a while since I’ve tried my hand at chalk art so I figured that now was a good time. 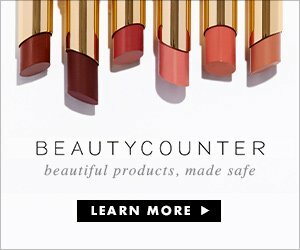 I did have this cute little banner I made on photoshop and put together. But still wanted to add the chalk art since the chalkboard was just hanging there ha! 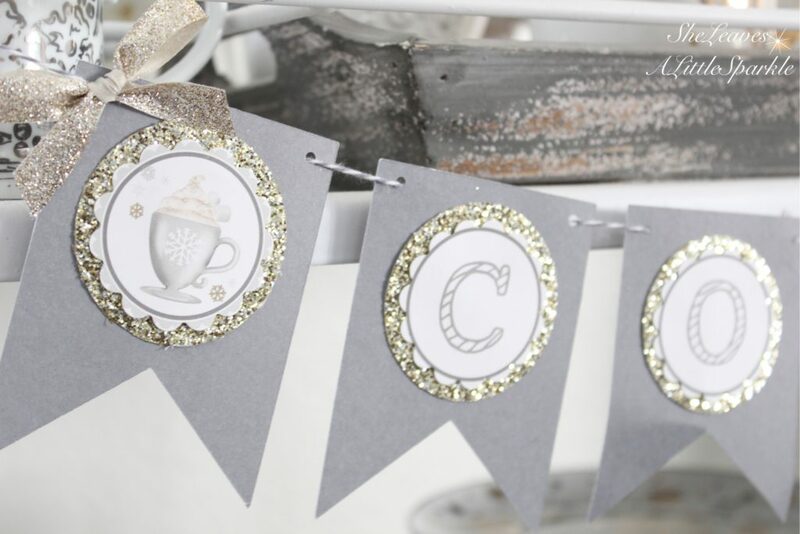 I’ve had a lot of requests for this banner and to offer it as a free printable but so many people have ripped off designs and turned around and sold them on Etsy (tear) that I’m not sure I am ready to share it but if I do, you’ll be the first to know. Make sure you’ve signed up for my email list of weekly news and sale alerts to my shoppe at the top of the page. 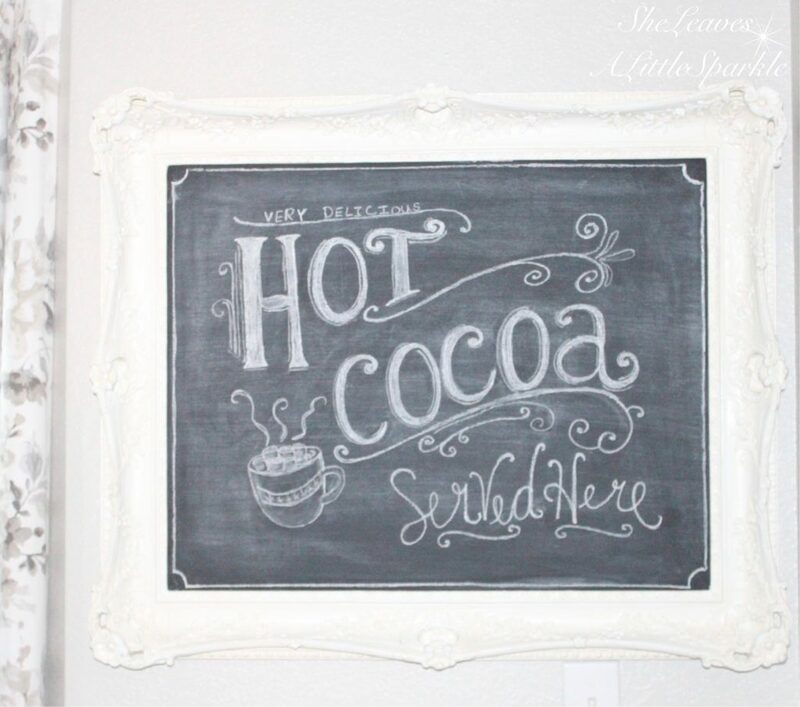 Check out more on my Hot Cocoa Bar HERE from last year. I loved the Red & White theme. It was so fun! In that post, I included a free printable! So don’t miss out! Head on over to visit that one as well! To help you create your own sparkly marshmallows and hot cocoa station, I’m including some shopping links of items below that I think would be perfect and so helpful for you! Thanks so much for stopping by today! 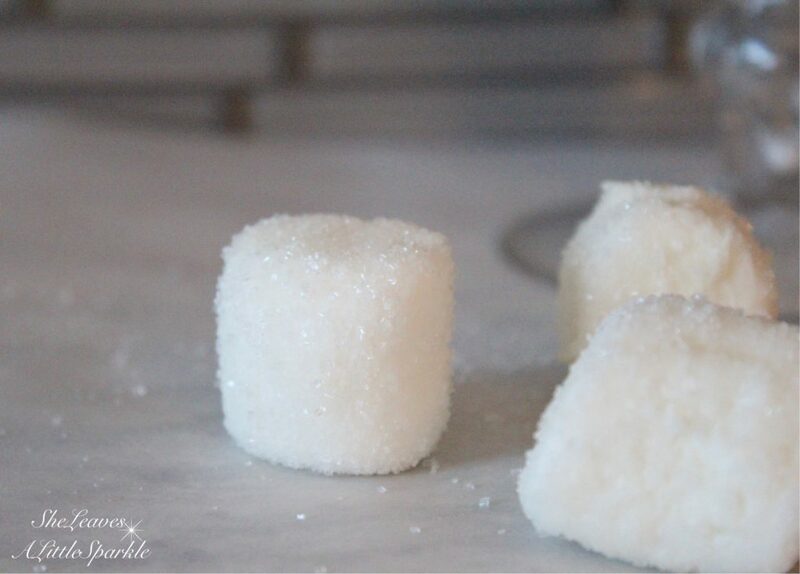 I hope you had fun learning how to make my sparkly marshmallows! I hope your guests are wow’d this holiday season! Oh, and they might taste great by themselves too, if you want to sneak a little treat when no one is looking (wink wink)! Wow! Your sparkly marshmellows caught my eye!✨✨I follow Julie and Jodie and saw your name in the gorgeous home tour and that is how I found you! Your gallery is Amazing! 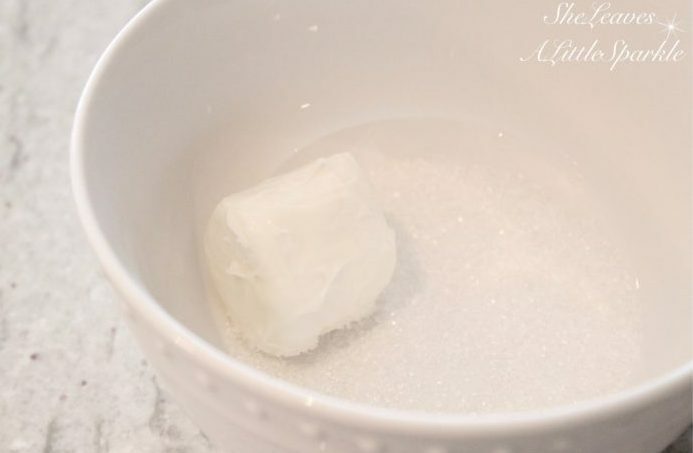 I want to make the sparkly marshmallow! Do you mind if I post a pic and of course give you credit when I make them? So glad to have come across you!